While I liked it, the idea of a a screen for just miniatures didn't really appeal to me. Though I have a grandiose idea to make the entire thing and place some charts in each section angled at about 20 degrees to make it easier to view the info. 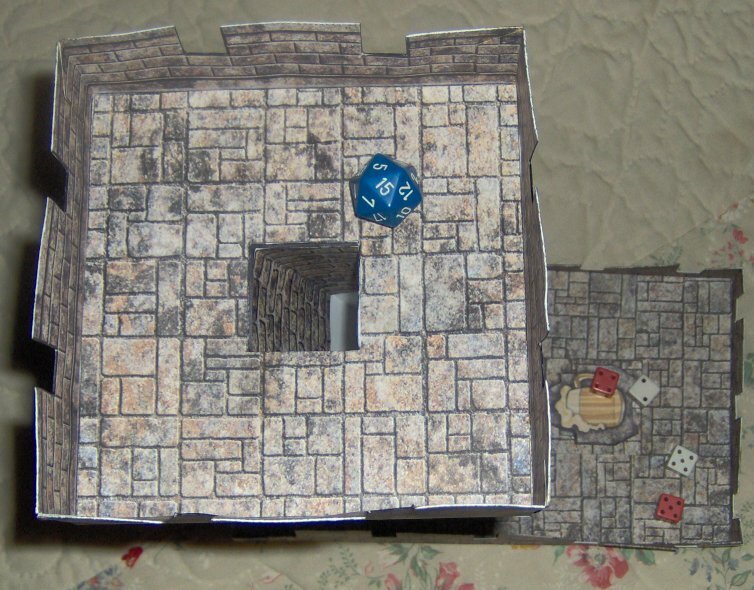 Thus making it a working 3D DM Screen of Death - that will be an experiment for another day. 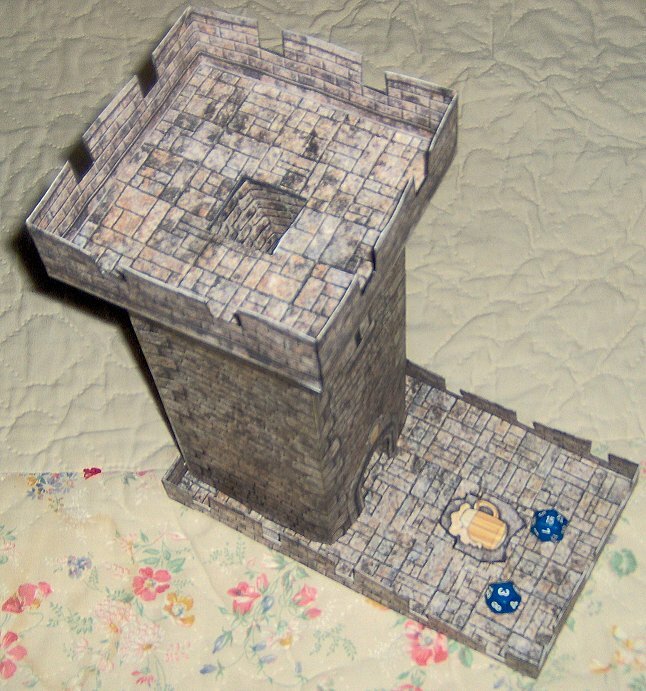 For now, I've modeled one of the towers complete with included dice roller, and created a base to keep the little demons from scampering all over the table. 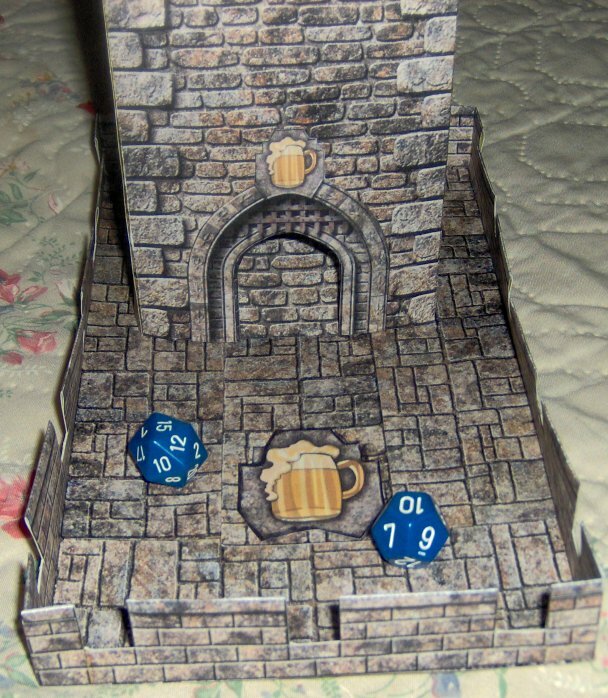 To finish it off, I thought a Beer Stein on the tower and base would be a nod of the helm to our gaming group - the Foaming Flagons. Is it perfect?, Nah, but it's damn cool! It can easily handle all my regular dice, and I've tried 10 D6 at the same time with no snafus. My metal dice however are a bit too heavy for this cardstock design. Thanks bro - worth the 10 bucks or so to pick up the pdf.